As far as I can remember I have always lived and breathed music: it’s the first thing I think of when I wake up and the last thing I think of before I go to sleep. Before the age of seven I knew almost every song by the Beatles and a lot of other 60′s and 70′s stuff that my dad played to me. At this time I also formed my first band. It wasn’t long before I caught the recording bug. At first it was a four-track cassette recorded. Then it was mini discs, tape and DAT machines. 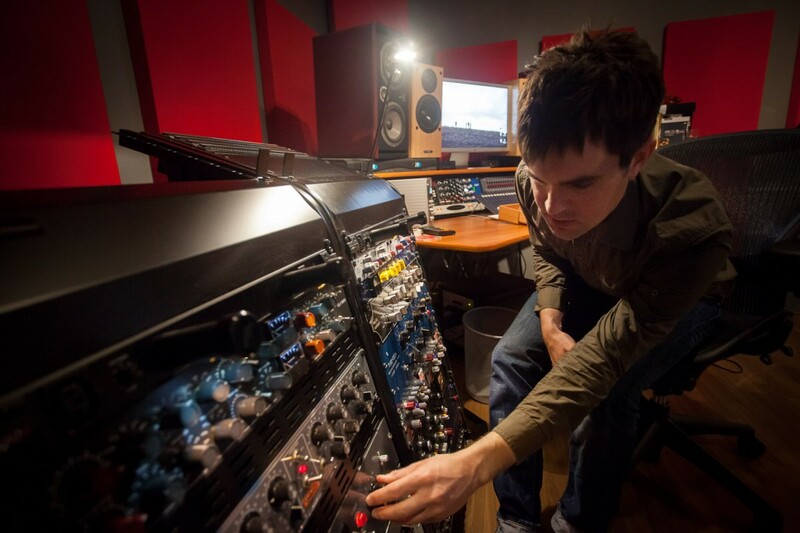 When I finally got my first computer rig I was extremely excited and the sky was the limit: so many option and countless tracks, but there was something missing sound wise, and that’s when I began collecting outboard gear. For me the primary goal with having a good collection of gear is to serve the song. If you don’t have a good song, no compressor or EQ in he world could help you: it all boils down to the song. To give you an idea of how obsessed I am with recording let me describe a perfect Friday night, according to me. First you grab a bunch of records and a glass or bottle (your choice) and listen to something specific like vocal sounds. And nothing but vocal sounds. You go back and forth between the records and try to imagine the recording/processing chain: ”sounds like a U47 probably through a 1073 with some sort of tube compression etc.” A perfect evening, if you ask me. Over the years I have developed a lot of favorite sounds (even though I must point out I still don’t enjoy something just because it was well recorded: there’s got to be a good song, remember?) like the acoustic guitar in the intro to the Dixie Chicks ”The Long Way ‘Round” or Tom Petty’s ”Wildflowers”. When it comes to vocal sounds, there are so many type of sounds that I enjoy, but I must admit that I have a weak spot for a dry, in your face type of sound like the entire ”Unchained” record by Johnny Cash or Rodney Crowell’s ”Beautiful Despair”. So this what you get when you use our services at Analog Sweetening: not only an extensive collection of outboard gear, but also the ears of somebody obsessed with music and recording, whose sole purpose it is to make your music sound sweeter.